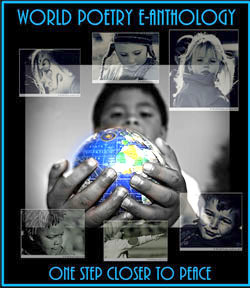 World Poetry Celebrates Mahmood Jan from Afghanistan! Ariadne’s Notes: I have been receiving so much e-mail from all over the world, some of it is so unique. This poem was read on the World Poetry Café Radio Show several weeks ago and I would like to feature him as an example of the quest for peace around the world. “My name is Mahmood Jan from Afghanistan. 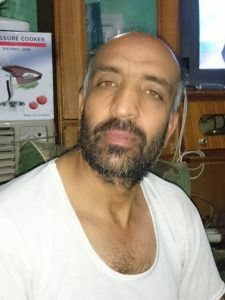 I am a 52 year old man I am living in Kabul, a shopkeeper in the selling of tiles. language. But I feel the pain of the world creating such pain topics as ( Voice of the heart of the world) that I wrote. I thought I would share my topics the outcomes that I feel that I am alive to read especially in the writing or singing to express my feelings. This is for reading on the world peace day with full singing sound on September 21st. This entry was posted in Ariadne's Notes, E-Poets, Featured Poets, General and tagged Afghanistan, International Peace Award Ariadne Sawyer, Mahmood Jan, World Poetry Cafe Radio Showl on July 24, 2016 by Ariadne. That was poetically beautiful and it is our world, all of us as one, but each unique in thinking and speaking. My heart was moved and my eyes moistened with tears from reading this. Thank you Mahmood Jan for writing such a heartwarming and endearing piece. Thank you, I will let him know. It is amazing to get so many poets from all over the world with the goal of peace. Often the language berries are overcome in the interests of peace.